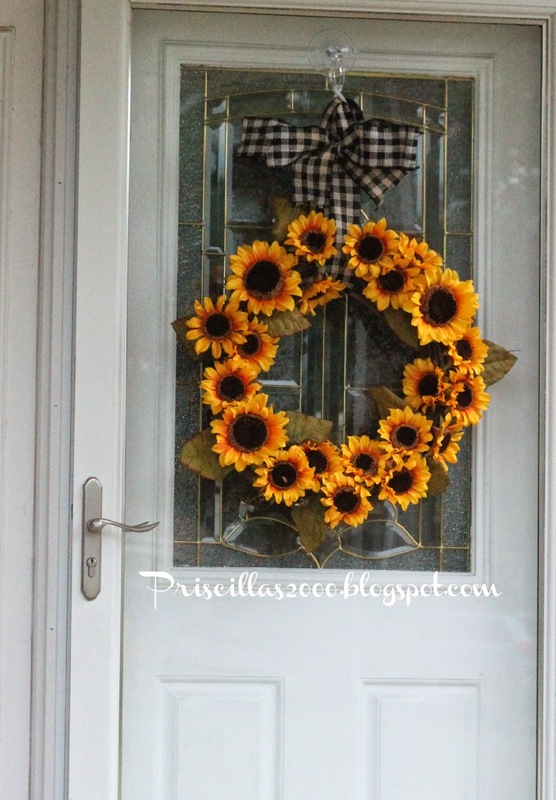 What a cheery, welcoming wreath, Priscilla! And your garden looks fantastic... We've had such a cool and wet summer here that everyone has about given up on our gardens! Your wreath looks good and I love all your flowers! Beautiful wreath!! 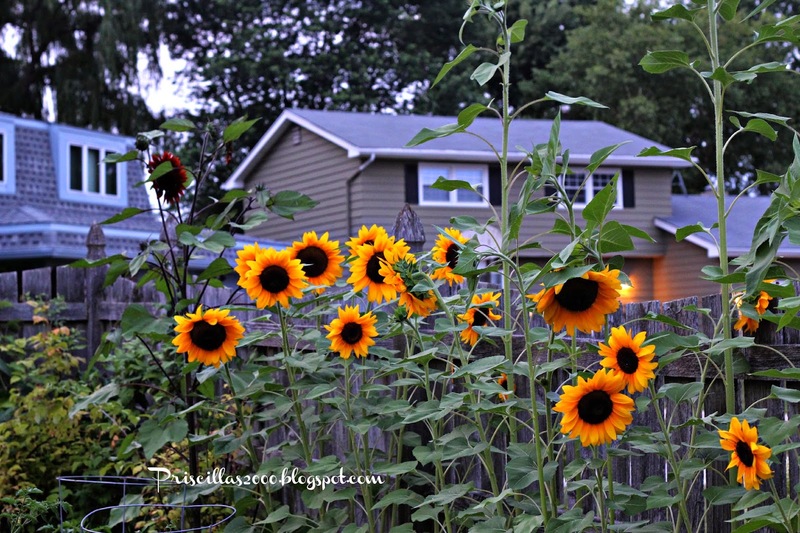 We planted sunflowers and no sooner that they started to bloom the squirrels ate them!!! Lovely wreath. 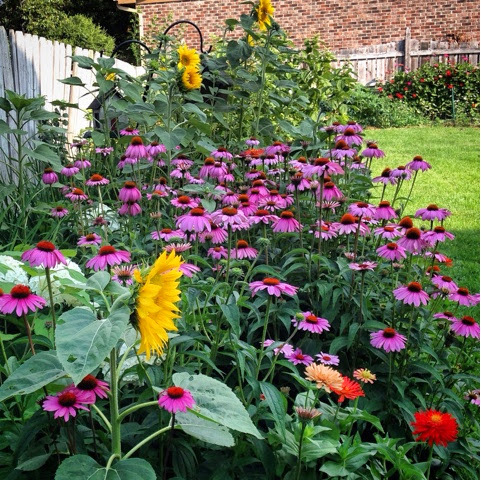 Your garden looks divine. 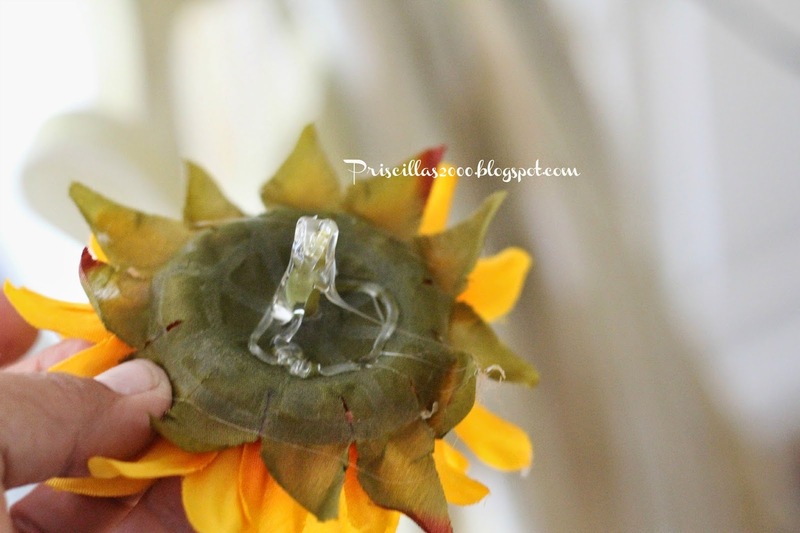 Sunflowers are such happy flowers and they make everyone smile. 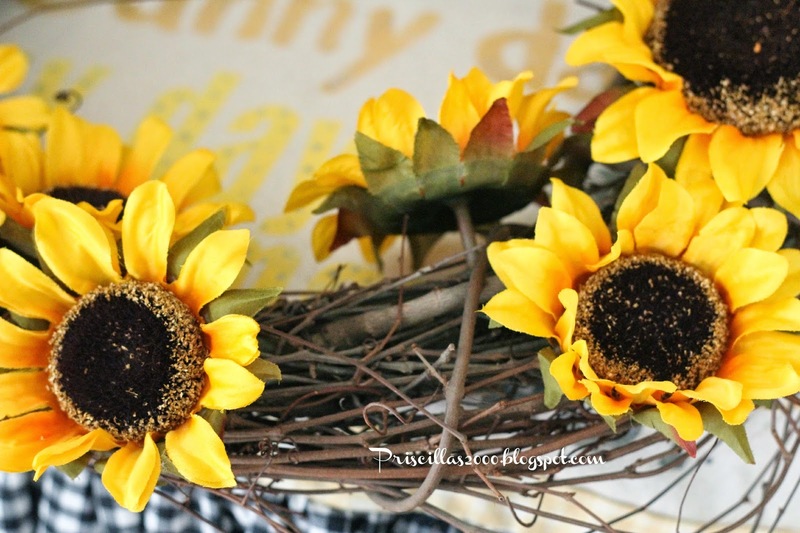 I just did a sunflower tablescape. Happy Tuesday. 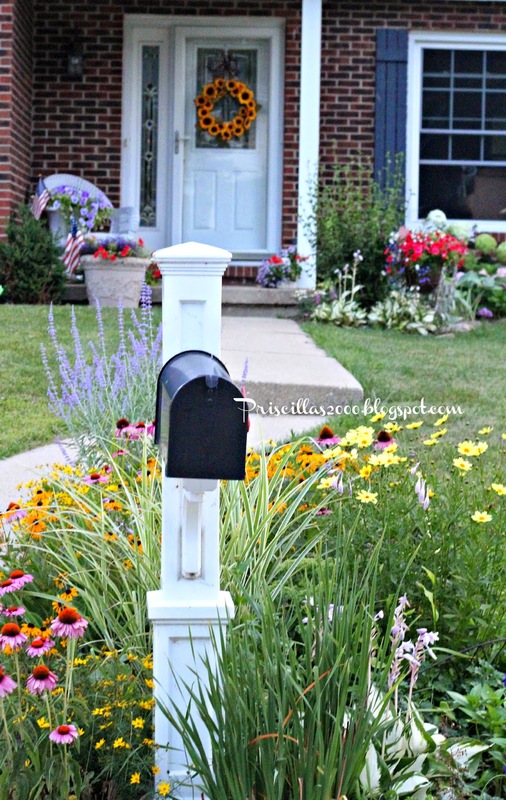 Wow ~ your flowers are beautiful and I love the wreath ~ the black checked bow is perfect! 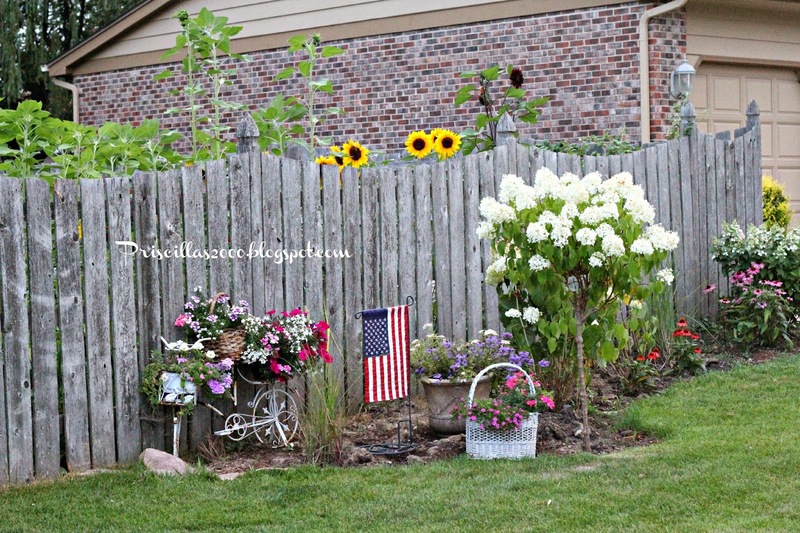 Gorgeous blooms and wreath Priscilla! I need to make one. 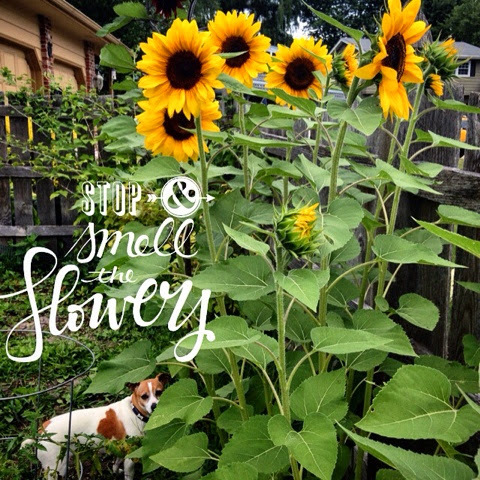 I have lots of sunflowers blooming out front. 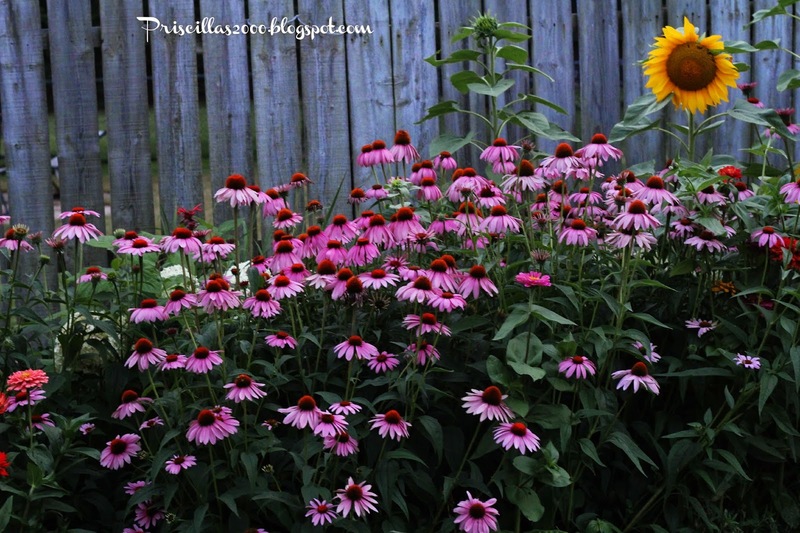 Planted there by the birds. Only one has a huge head, but still I love their cheery face! I have a Limelight Hydrangea tree and it is ready to bloom any day. I have an Incrediball that I planted new last year. It only had one bloom. Can't wait till it gets bigger and full of blooms. I also have a Str. Van. Hydrangea that is two years old and full of blooms this year. My friend has a pinky winky tree and three bushes. They are gorgeous! 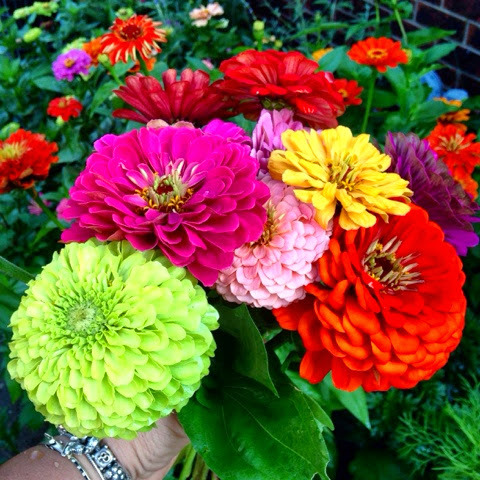 I love Zinnias and want to plant even more next year. 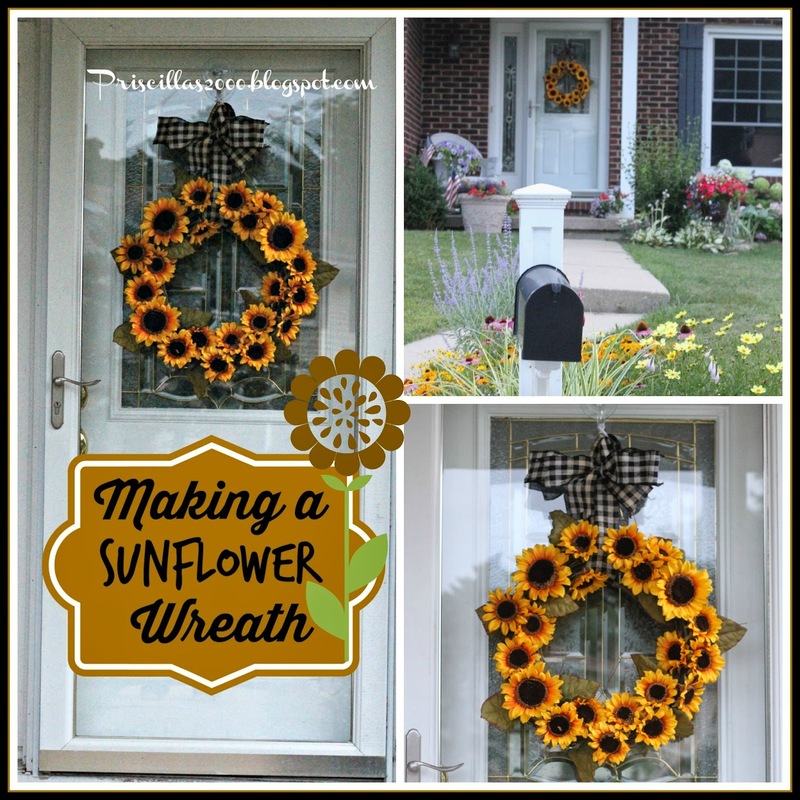 I love how your wreath echoes the beautiful sunflowers in your yard. 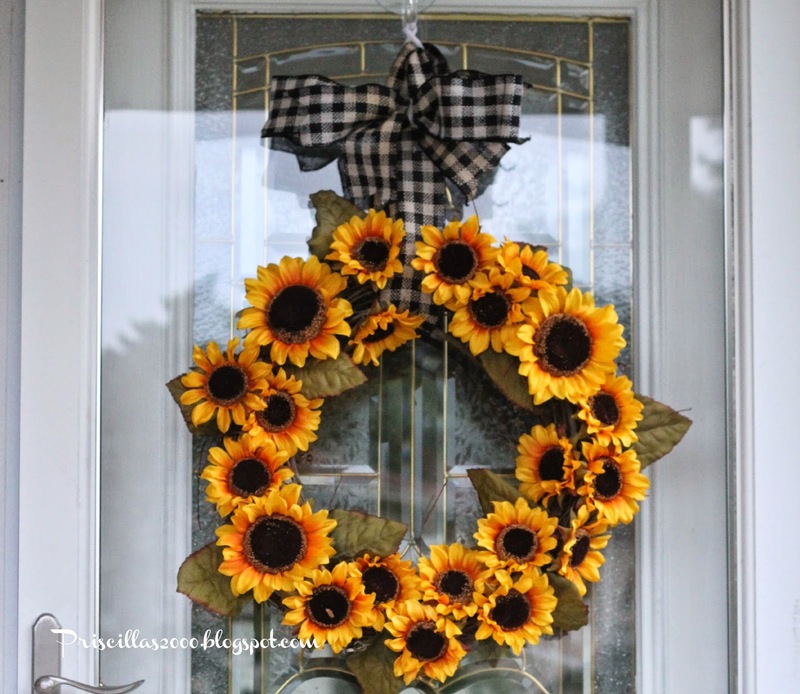 I love your sunflower wreath and your gardens are just beautiful! Hi Priscilla. Your wreath is just adorable! I wanted to let you know that your project will be featured at The Scoop link party this coming Monday night. Thank you for linking up!